As you can tell by my silence, it’s been a busy week one way or another. Mantic have Dwarf King’s Hold: Ancient Grudge up for pre-order still, but I’ve been contacted by a number of people who have already been sent review copies (and Frontlinegamer has done an unboxing already), so it’s got to be out any day. The webpage also says it’s out in January, and that’s going out of fashion pretty soon too. I look forward to hearing what people make of it. As always in the land of writing games, what the public at large see as new and shiny is a long-forgotten project by the author. Well, sort of. It’s certainly not in the last 3 or 5 projects I worked on, which can make things a little odd. Great to see them out in the big wide world though. I’ll be putting up a FAQ page for both shortly. Do feel free to post up if you have any queries. Mantic are also responsible for the beginnings of a tease about Project Pandora with part of the cover being shown recently. 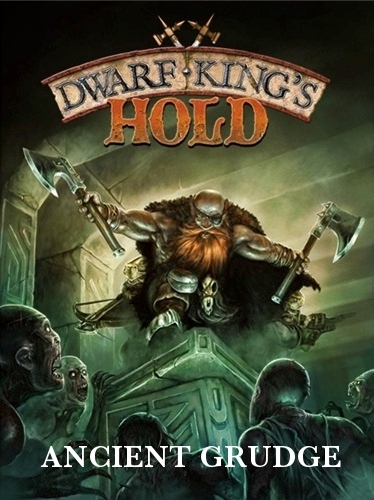 The cover is by the talented Mr Springborg who also did the covers for all of the Dwarf King’s Hold series. This entry was posted in Dwarf King's Hold, Project Pandora, Tribes of Legend. Bookmark the permalink. My copy of ancient grudge arrived yesterday, so I’m guessing that means it out, but was missing its rulebook so I’ve had to send it back! whilst the figures and board sections look nice, its the extra rules I was looking foward too. oh well I can wait another week. I wouldn’t send the whole things back. Just give them a ring and they can send you a rulebook out separately. That’s what I’d do. thats what I wanted to do but maelstrom said I have to return the whole thing. I work in retail and its our company policy too, so I’ll just have to go along with it. Ah, sorry. I thought you’d got it direct from Mantic. Of course you’ve got to follow their rules. 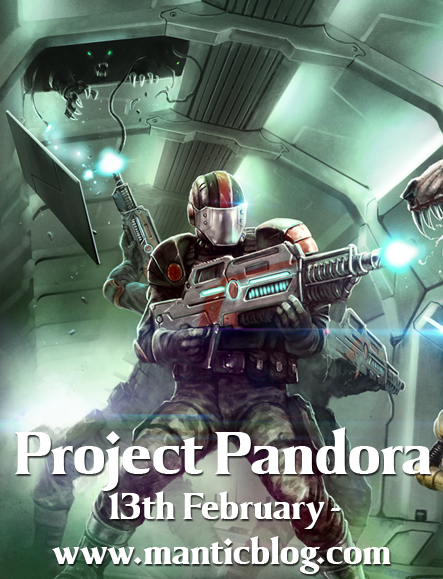 Pretty excited by Project Pandora and hopefully my Tribes of Legend is winging its way south…I won’t be getting any Foundry miniatures but will have some fun converting up GW figures that would otherwise not see the light of day. I’d be interested to see them when you’ve had a go. Which ones were you thinking of converting? Probably the Ungors and mix in flagellant parts. Have some old bitz as well that with a bit of jiggery pokerery can give a bit more a Greek city State feel. I have an old Grenadier Bone Giant is there a model that this could represent in the rules? Been looking for an opportunity to use him every since i gave up on Tomb Kings. A Bone Giant? Not a specific creature as such. However, I am writing some more articles as I said, and they cover all manner of monsters so perhaps there’s one of those it could stand in for. I can’t remember the whole list offhand. Outrageous flirting Mr Thornton you should be ashamed. I received my Dwarf King’s Hold: Ancient Grudge two days ago from a Mantic preorder. Read through the rules several times and like what you have done next task will be to review and adjust my war bands based on the new information. 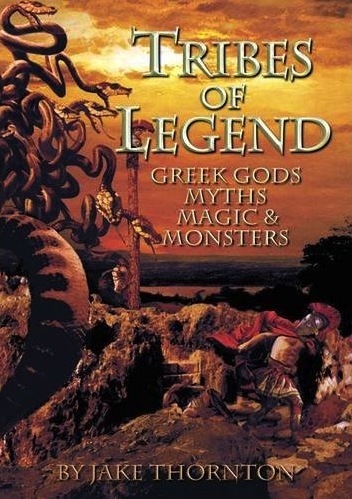 I also have Tribes of Legend on order. I have had a nice number of people sign up for my six player DKH in February so busy getting ducks in a row for that. Glad you like it Don. I was wondering what you’d think of it. I went through the war bands I had setup before reading Ancient Grudge and was interested to find that I had to make surprisingly few adjustments until I came to the undead. I am going to take some more time to think through why my effort did not match with yours. My play area is larger so I have the necromancer on the table and allow him to use an action to “cast” pit of souls up to 24 inches from where he is at to make up for the slow movement of the undead. I assume that when the necromancer is killed it is game over for the undead so I gave the necromancer good stats and zero points cost. Still it seems like it would be easy for the undead to lose in a more open and fluid environment. Because I am not using the game tiles I plan to remove shooting dice on distance because I can not count tiles perhaps one less dice for every four inches to target. Ah, Undead. They do have a naughty habit of being the odd one out in so many ways. Remember that there isn’t a single right answer to how the Undead (or anyone else) works. Your way of doing them may well work better for your unusual layout. One of the reasons that the Necromancer is not present in person in DKH (as a board game) is that he is a 1 kill win for the enemy. That tends to skew the whole game play and so I wanted to avoid it. On a larger, more open battlefield you have different questions and solutions to deal with. Just be aware that if the enemy can win by killing one model they will often ignore whatever other objective you may have set for them and focus on that instead. As long as you’re aware of that likelihood you can deal with it. Your change in range modifier for shooting is something you have to do for practical reasons and will work fine. You can tweak whether it should be 3, 4, 5 or however many inches by playing it a bit. Just adjust it to whatever gives you the relative power you like on your tabletop. t’s the balance between shooting and melee that you need to look at here, and I was trying to downplay shooting slightly so that it didn’t dominate. Having said that, a few people have got very good with it, and some shooting-heavy warbands are very nasty if you let them keep their distance. The one that interests me is “Project Pandora”. What i’d like to see for spaceship-board (oh, there’s a pun for you!) is ship crew – not specifically soldiers, but ordinary spacers who have picked up weapons, possibly improvised to defend their ship. as you’ve said this will be a series, any chance of this sort of thing? It’s a fun angle, and a very roleplay one. The limitation would really be whether Ronnie wanted to make the models or not rather than whether I could fit them into the game rules/stats. Of course, even if there was no official version it would not be hard to make up your own stats and play games with models from another company. There are several places you can get SF crew models (or convert your own). In terms of a series, I don’t yet know where we might go with Pandora. I’ve got some ideas, and doubtless Ronnie has some too. The we have to see whether people like it and whether there’s a particular theme gamers clamour for. If everyone wanted to see Forge Fathers in it then it would be silly for us to do Orx, for example. Another thought that strikes me is that I’ve not seen all the models or concepts planned for Warpath (and some races may not yet have been concepted). That means that there may already be models coming down the pipe that would serve as spacers in just the manner you describe, and in turn this would enable either a subsequent set or an expansion article.